February 16, 2018 healthfortnight birth guidelines, C-section, caesarean deliveries, Childbirth, Dangers of C-section deliveries, health news, pregnancy, Revised child, WHO, World Health Organisation. New Delhi: The World Health Organisation (WHO) on Thursday, revised the childbirth guidelines in a bid to curb the rise of caesarean deliveries. 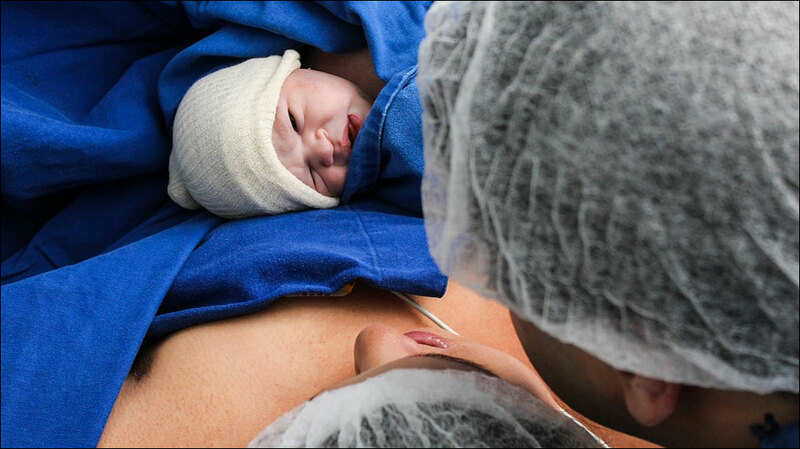 Caesarean section deliveries have become more popular throughout the world and unfortunately, have begun to be seen as a convenience rather than an emergency surgical procedure. A caesarean section, also known as c-section, is the delivery of a baby through a surgical incision in the mother’s abdomen and uterus. It is often performed when a vaginal birth would put the baby or mother at risk. Despite the risks, many women are opting for C-section deliveries nowadays, simply because they want to avoid labour pain or coincide with certain events, even though there are no complications with their pregnancies. The WHO, among 26 recommendations, rejected a traditional benchmark in labour wards worldwide for the dilation of a woman’s cervix at the rate of 1 centimeter per hour, saying it was “unrealistic” and often led to excessive caesarean sections. Women in labour should be given more time to give birth and have fewer medical interventions while participating more in decision-making, the UN health agency said. “Things like caesarean sections, using a drug called oxytocin to speed up labour is becoming very rampant in several areas of the world,” he told a briefing. He was referring to the synthesized form of a natural hormone routinely injected intravenously to women to cause contractions, expediting birth to avoid complications. Since the 1950s, a woman progressing through labour at a rate slower than one centimeter of cervical dilation per hour has been considered “abnormal”, said Olufemi Oladapo, a medical officer with the World Health Organization’s department of reproductive health. But research in the past 15 years, including a WHO study of 10,000 women in Nigeria and Uganda, has shown the rate can be slower without endangering the health of a woman or child, Oladapo said. A better threshold is 5 cm of dilation during the first 12 hours for a new mother and 10 hours in subsequent labours, WHO said. A woman’s vital signs and baby’s heartbeat should be monitored closely throughout. Caesarian rates of more than 10-15 percent do not appear to lead to any significant drop in mortality rates of mother or child, said WHO’s Metin Gülmezoglu. Among middle-income economies, Latin America, Turkey, China, and Iran have high caesarean rates, but so do some hospitals in sub-Saharan Africa, “and often not for the right reasons”, he said. Women should be allowed to choose their delivery position,, including squatting or sitting, and be offered pain relief, Oladapo said. “We want a situation where women have an informed choice, and they are involved in decision-making,” he said.